Here’s some news for Beatles fans. Q: “Were you influenced by their work? Q: “Will they or who will receive the first copies? 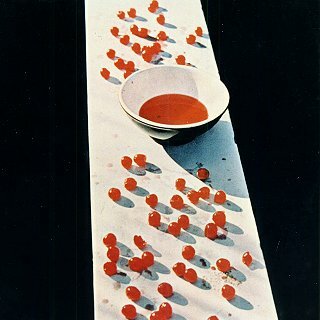 PAUL: “Linda came up with and took the photos, and she and I designed tha album cover. Q: “What do you feel about John’s peace effort? The Plastic Ono Band? Giving back his MBE? Yoko? Well, all this coming weekend ABC Digital Radio in Australia will be marking the anniversary with a continuous stream of special programs and documentaries (many sourced from the BBC and never before heard in this country) celebrating the music and the history of the band. If you have a digital radio and you live in Brisbane, Sydney, Melbourne, Adelaide or Perth you can hear the special programs on your radio. If you don’t have digital, or don’t live in any of those places you can still hear them streamed on the internet. On the 40th anniversary of Paul McCartney’s announcement that his songwriting partnership with John Lennon was over, the Australian Broadcasting Corporation is presenting a weekend of very special digital radio broadcasts to celebrate the band from Liverpool that changed the course of popular music. On ABC Digital Radio (and online), beginning at 8am (Eastern Australian Time), Saturday 10th April and continuing until midnight Sunday 11th April, ABC Beatles will give listeners the opportunity to hear rare and exclusive material drawn from the depths of the BBC Radio archives. The broadcast will include an in-depth history of the band, interviews and recordings from their visits to BBC studios and documentaries never broadcast in Australia. There will be online streaming links (Windows Media & Real Audio) via this page. This entry was posted in Beatles, Beatles Collecting, Beatles Music, Beatles Related, George Harrison, John Lennon, Paul McCartney, Rare Beatles, Ringo Starr and tagged Beatles, Beatles Collecting, Beatles Radio Special, Beatles Related, George Harrison, John Lennon, Paul McCartney, Rare Beatles, Ringo Starr by beatlesblogger. Bookmark the permalink.